Garage Keepers Insurance – Quotes and Information Available Seven Days per Week. If you’re searching for Garage Keepers Insurance you have found the right website. Call Pathway Insurance at 1-800-998-0662 or click on Garage Keepers Insurance Quote to send us your request for online quotes and information seven days per week. Licensed agents are available every day online until 5:30 PM to answer questions, provide quotes, start policies, or file claims. Garage Keepers Coverage – What Is It and Why Do I Need It? Garage Keepers Insurance is an important coverage to add to your commercial policy for customer vehicles or equipment that are left in your care no matter if you are servicing, repairing, parking, or storing said vehicles. A towing operation, garage, or car dealership may need this specific coverage if customer vehicles or equipment are in your care custody or control. Example 1: Stan Jones owns a body shop and at any one time he may have 10- 15 customer vehicles stored in his shop awaiting various repairs due to car accidents, or customers who need painting work on their vehicles. He provides a courtesy towing service for customers. Example 2: Mike Spencer owns a towing service. His company picks up abandoned vehicles, or repossessed vehicles and stores them in his lot for a daily fee he charges his customers or the city. Example 3: The K & B Auto Group sells Hondas, Toyotas, Lexus and Acura both new and used models in addition to offering repair service. At any one time K & B Auto Group may have up to 50 customer vehicles in their care. 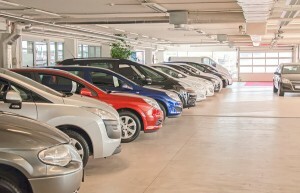 A Commercial General Liability Insurance Policy Will Not Cover Damage to Customer Vehicles! Some garages, towing operations, or dealerships may be under the mistaken impression that the General Liability Insurance Policy will cover damages to customer vehicles or equipment left in their care or control. This is not the case so it’s important to purchase adequate Garage Keepers Insurance to protect your business from paying out-of-pocket claims. Claims Example: Robbie Jensen owns Robber Barons Repo Towing Service and they specialize in repossession work for local financial institutions. In addition Robber Barons Repo Towing Service owns a fairly large lot where they store vehicles repossessed for fees charged to their clients as vehicles are waiting to be auctioned off. On any given day Robber Barons Repo Towing Service has over 100 vehicles stored at their facility at 1275 Main St.
Tony Creighton is a very bad Apple, completely irresponsible, with a bad temper and a tendency to get even with those who cross him. Tony had his prized Ford Mustang repossessed by Robber Barons Repo Towing Service because he stopped making payments on his Mustang after getting fired for starting a fight at work. Tony finds out where his Ford Mustang is stored and a few minutes after midnight on a Sunday morning he decides to make a few Molotov cocktails and hurls them into Robber Barons Repo Towing Service storage lot. About 20 vehicles were destroyed by Tony’s little act of revenge, he was caught on surveillance video and arrested about five days later. However the damage on the 20 vehicles amounted to about $80,000. Robber Barons Repo Towing Service submitted a claim to their insurance company under their General Liability Insurance. Unfortunately for Robbie Jensen this claim was denied. A claims adjuster advises Robbie that a Garage Keepers Insurance Policy should have been purchased to cover such types of claims. Robbie is forced to pay $80,000 out-of-pocket. This Is Why Garage Keepers Coverage Is Necessary. This type of endorsement is absolutely crucial to purchase if you keep vehicles or equipment in your possession at any time. However you should be aware there are several different options that you can choose from so it’s important to choose the best option for your needs. As you can see there is a difference between Comprehensive Coverage and the Specified Causes of Loss Coverage. Because the Specified Causes of Loss Coverage only applies to six different types of claim events the price will be less for this form. Exclusions for Garage Keepers Coverage Are Also Important to Be Aware of. This insurance does not provide coverage for “on hook”. “loss” that the “insured” would have in the absence of the contract or agreement. Keep in mind that your insurance policy is a legal contract between you and the company. There are terms and conditions and exclusions that may affect coverage. It’s important to work with a licensed agency who understands the challenges that you face. Choose Pathway Insurance When You Need Garage Keepers Insurance! Click on Garage Keepers Insurance Quote and a licensed agent will get back with you to answer any questions, provide quotes, and issue policies seven days per week up until 5:30 PM Eastern standard Time.